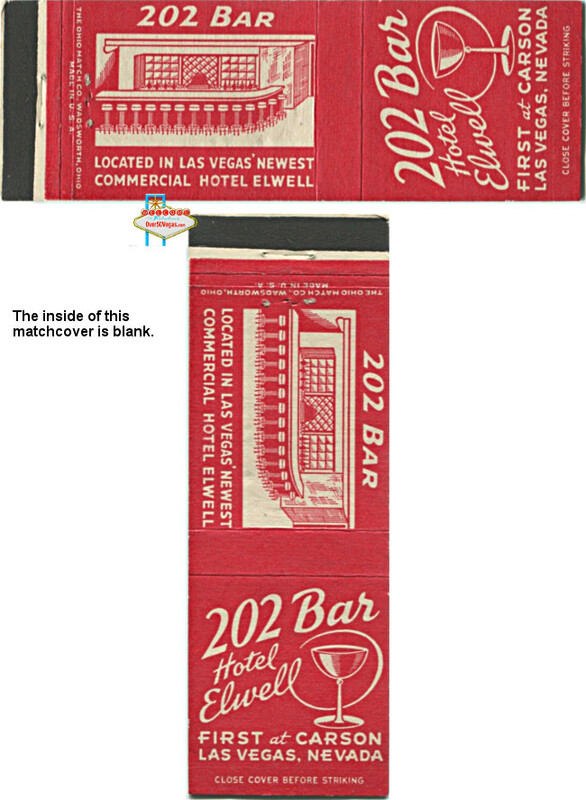 The hotel Elwell was located at 200 S. 1st St. at Carson behind the Pioneer Club. 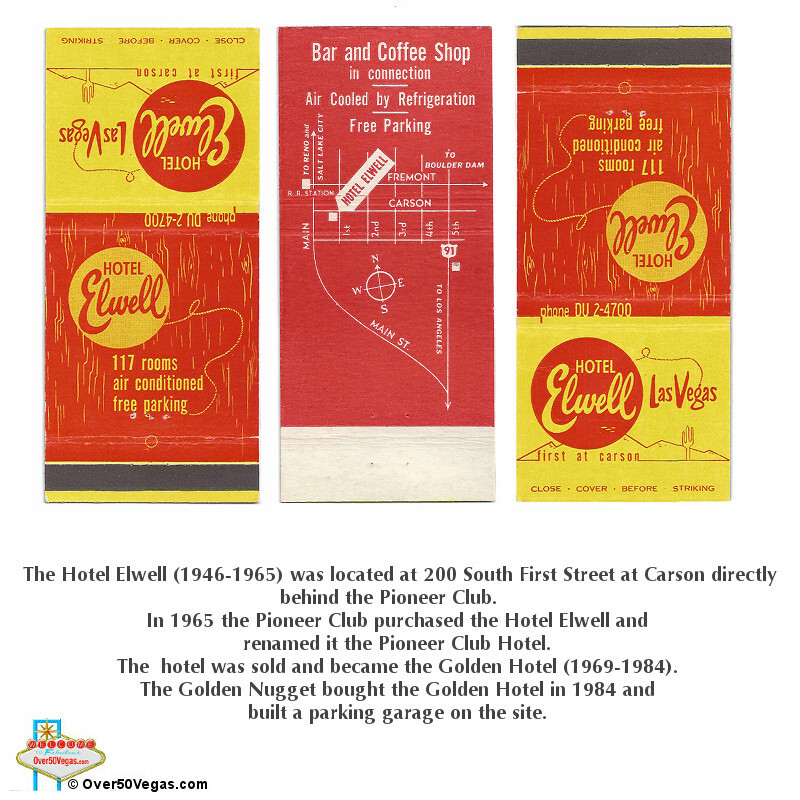 In 1965 the pioneer club purchased the hotel Elwell and renamed it the pioneer club hotel. 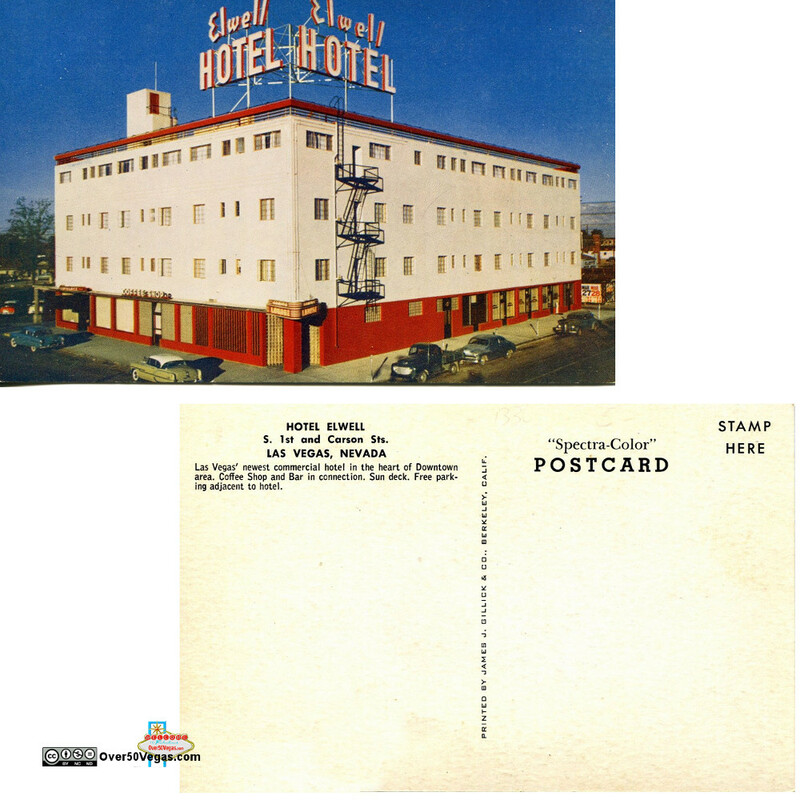 The hotel was sold and became the Golden Hotel. 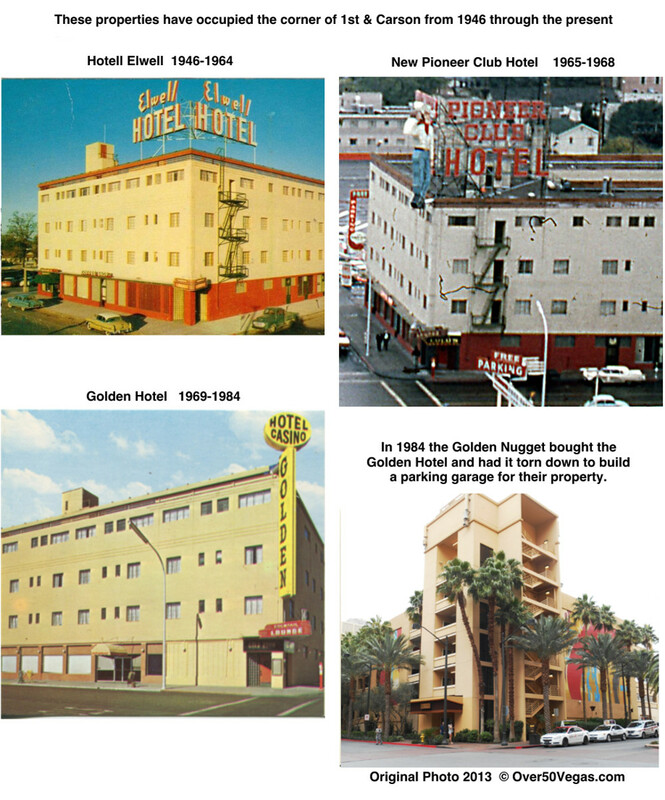 The Golden Nugget bought the Golden Hotel in 1984 and built a parking garage on the site. Here’s a collectible I had never seen before ChipBoyJim shared it with me. It’s a “Do Not Disturb” door hanger and a postcard all in one! 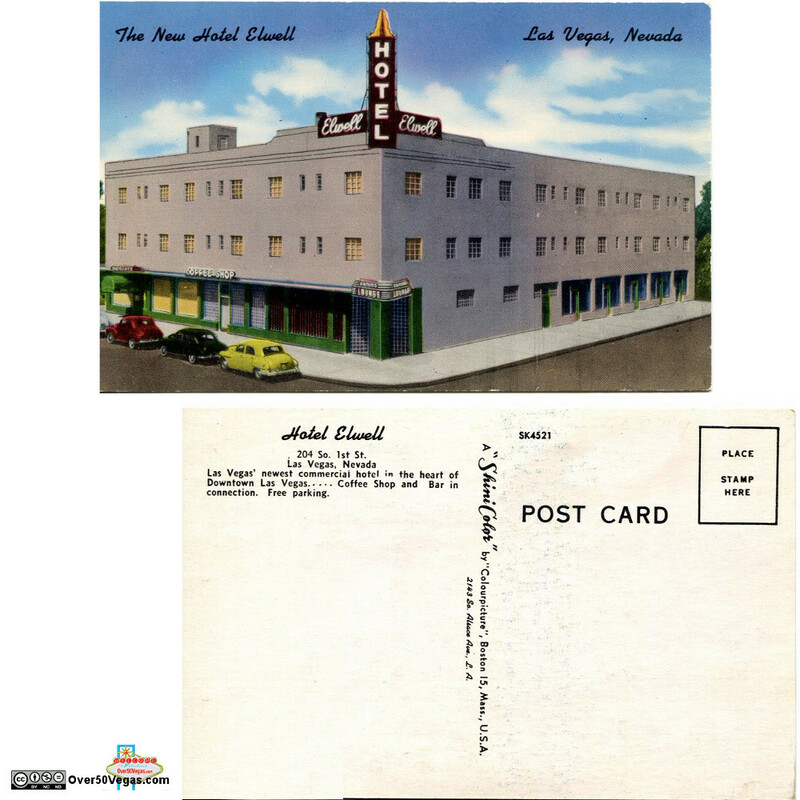 Postmark on the card is 1953! Courtesy of the ChipBoy Jim Collection! In the tourist photo above from 1964 you are looking down South First Street from Fremont. Saratoga Club at 114 S. 1st St. and Mike’s Liquors. 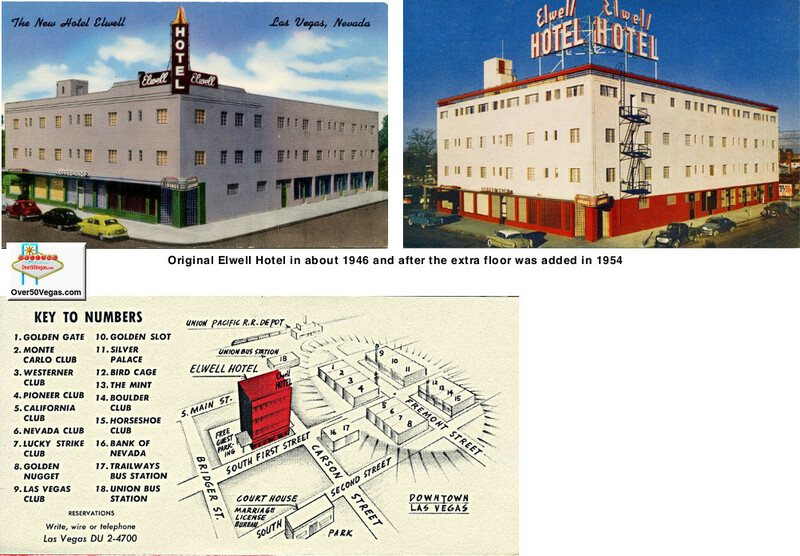 William Elwell and his two sisters, Mrs. Naomi Uptigrove and Mrs. Doris Brown, built the Elwell Hotel at First and Carson Streets in 1946 on property long owned by the family. 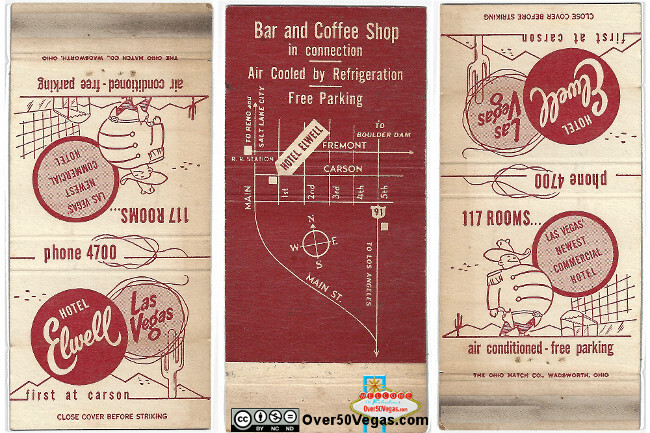 They were the children of one of the early settlers of Las Vegas. 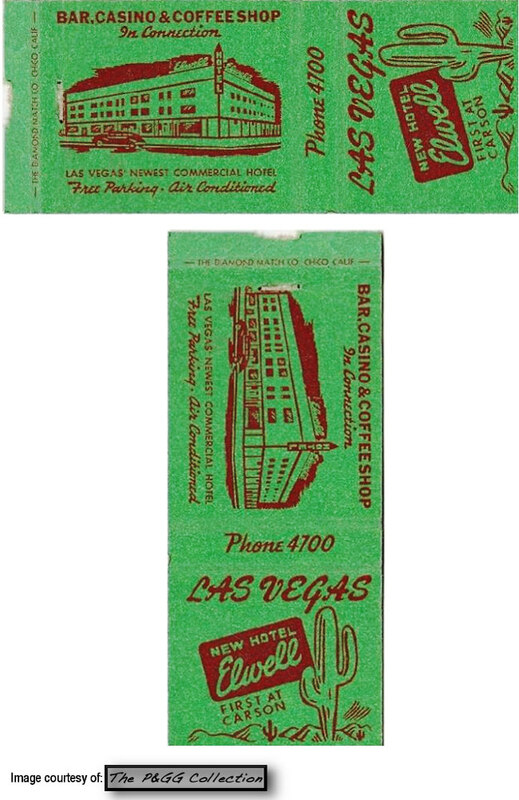 In 1954 the hotel was enlarged to 117 rooms. 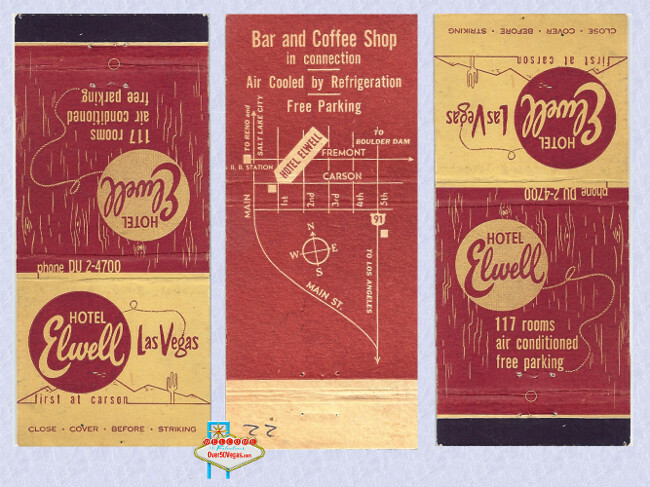 William Elwell was a University of Nevada regent and Las Vegas city commissioner and he passed away in August 1963.